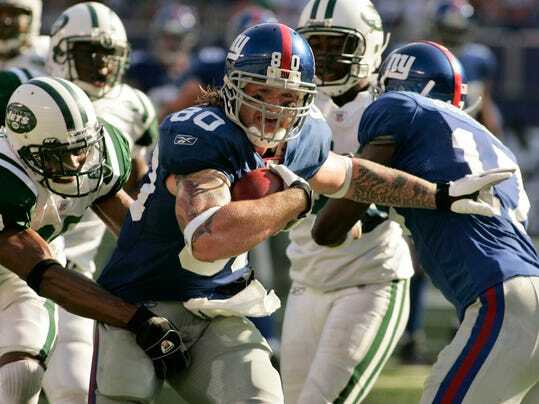 NEW YORK (AP) — Gang Green vs. Big Blue in the Battle of New York. And, New Jersey. The Jets and Giants are preparing for their first regular-season showdown since 2011, with bragging rights — and keeping pace in their playoff races — at stake. The New Jersey-based teams play every preseason at MetLife Stadium in what has been dubbed “The Snoopy Bowl,” in honor of the winner’s bronzed statue of the popular Peanuts character. Ex-Jets coach Rex Ryan was particularly fond of it, approaching the third exhibition game as if it was a downright turf war. The stadium co-tenants go at it Sunday for just the 13th time in the regular season, with the Giants having won eight of the meetings, including the last five. After the last two wins, they eventually went on to win the Super Bowl.